When you’ve had your fill of unsolicited advice, it’s time to stop and take a fresh breath with Remember When I Asked Your Opinion Mints. 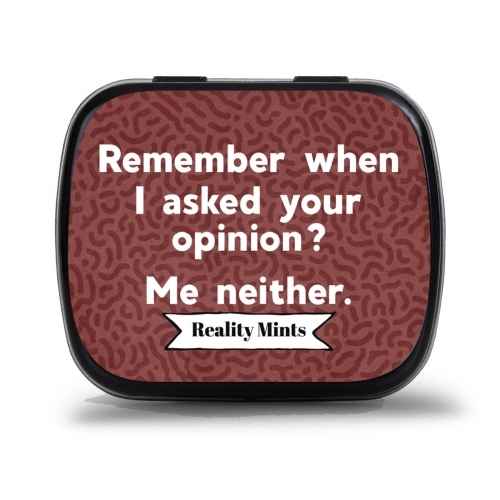 This funny tin of sugar-free breath fresheners is awesome for anyone who has mastered the art of sarcasm. They’ll love that the dry, shoot-from-the-hip delivery of this saucy novelty gift, even after the tasty peppermints are gone. 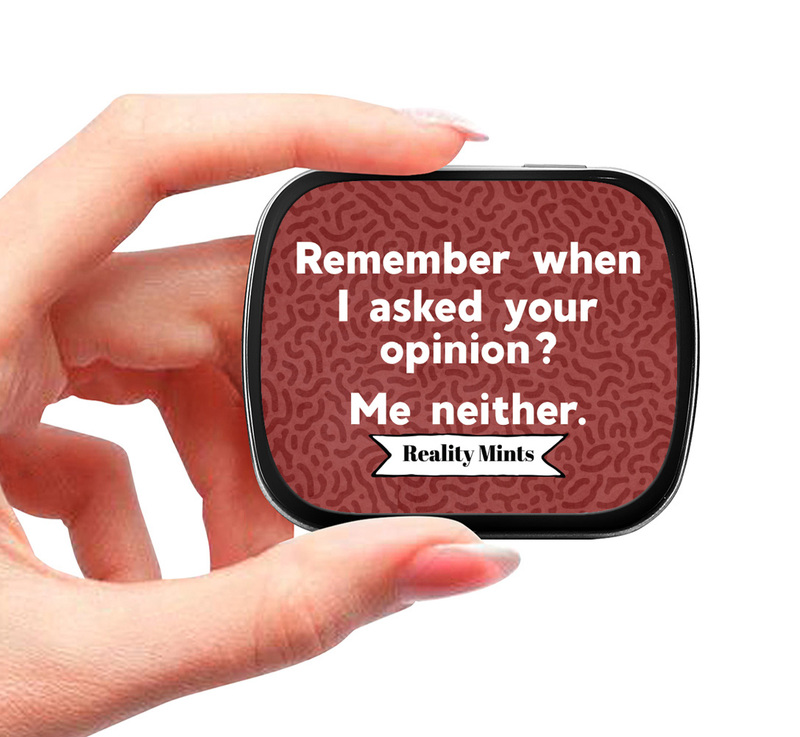 - Collectible mint tin reads: Remember when I asked your opinion? Me neither. 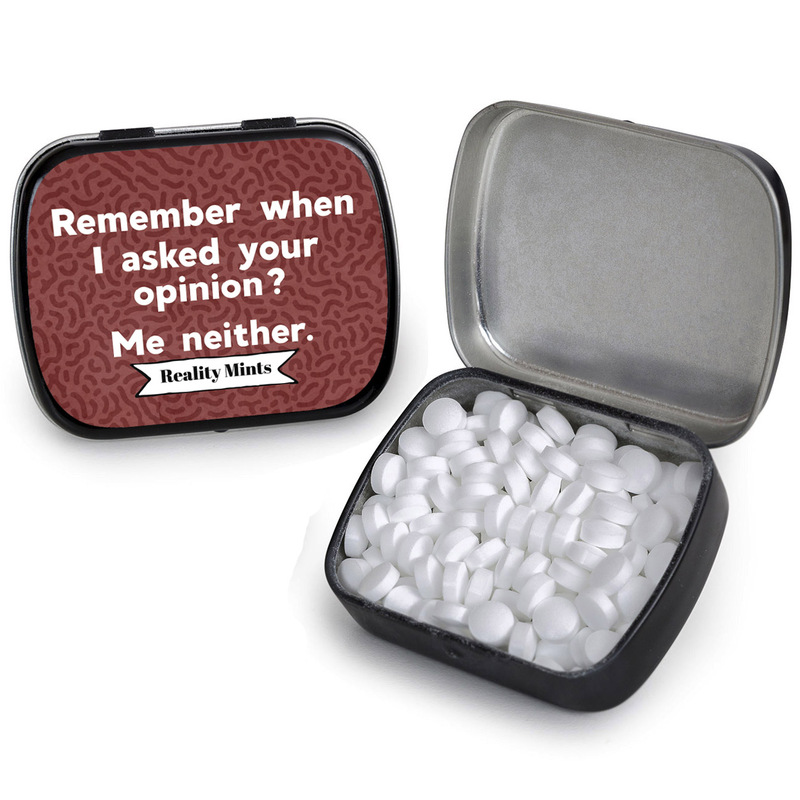 Remember When I Asked for Your Opinion Mints are a hilarious gift for friends and family who are pros at delivering well-timed sarcasm when they’ve had enough of someone’s guff. 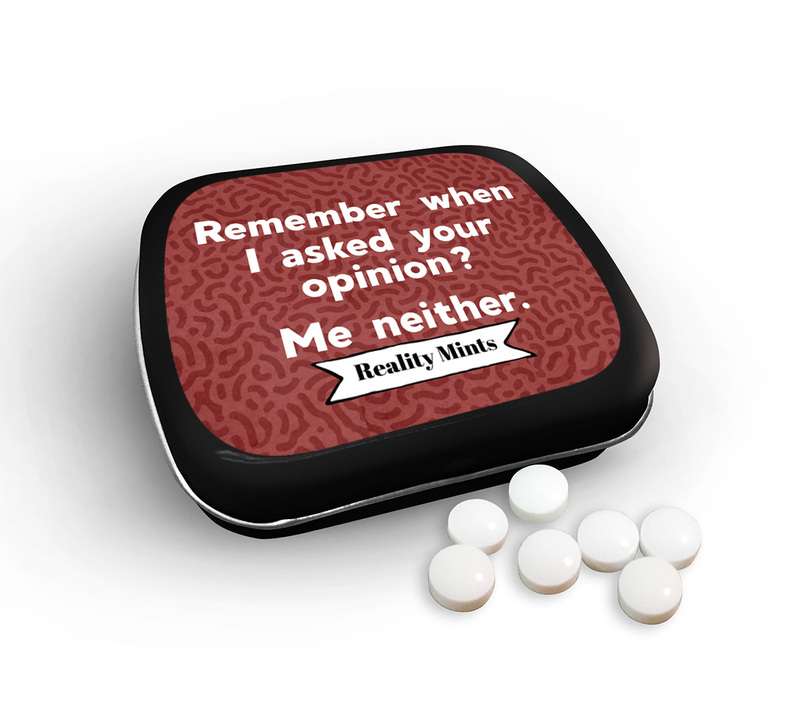 Filled with peppermint breath mints, this witty gag gift for men, women, and teens makes a silly stocking stuffer or addition to Easter baskets, birthday gift bags, care packages, or Valentine’s Gifts for anyone on your gift list. They’re also a go-to choice for White Elephant parties or Secret Santa gift exchanges.